NO PURCHASE NECESSARY TO ENTER OR WIN. A PURCHASE DOES NOT IMPROVE YOUR CHANCE OF WINNING. CHANCE OF WINNING DEPENDS ON TOTAL NUMBER OF ELIGIBLE ENTRIES PER DAY. SWEEPSTAKES IS OPEN ONLY TO RESIDENTS OF THE UNITED STATES 18 YEARS OF AGE OR OLDER. VOID WHERE PROHIBITED. THESE OFFICIAL RULES (“RULES”) ARE A LEGALLY BINDING AGREEMENT BY AND BETWEEN PARTICIPANT AND SPONSOR (DEFINED BELOW) AND GOVERNS ENTRY IN THE SWEEPSTAKES. BY PARTICIPATING IN THE SWEEPSTAKES, PARTICIPANT AGREES TO ABIDE BY THESE RULES AND THE RULES, POLICIES AND PROCEDURES LOCATED ON TWITTER, FACEBOOK AND INSTAGRAM. Failure to comply with these Rules AND THE TWITTER, FACEBOOK AND INSTAGRAM rules, policies and procedures will void A PARTICIPANT’S entry. 1. 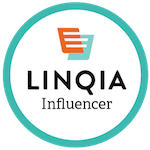 Eligibility: Each Entrant must be a legal resident of the United States or the District of Columbia, 18 years of age or older at time of entry. Employees of Kyocera Communications, Inc., Facebook, Twitter, Instagram and those involved in the production, development, implementation or handling of “Conquer Your Everyday” sponsored by Kyocera Communications, Inc. (“Sponsor”), any agents acting for, or on behalf of the above entities, their respective parent companies, officers, directors, subsidiaries, affiliates, service providers, prize suppliers, any other person or entity associated with the Sweepstakes (collectively the “Sweepstakes Entities”) and/or members of their immediate families (spouses, children, siblings, parents) and/or persons living in the same household as such persons, whether or not related are ineligible to enter the Sweepstakes. 2. Entry Period: The Sweepstakes begins at 8:00 p.m. on December 16, 2013 and ends at 11:59:59 PST on January 13, 2014 (the “Sweepstakes Period”). 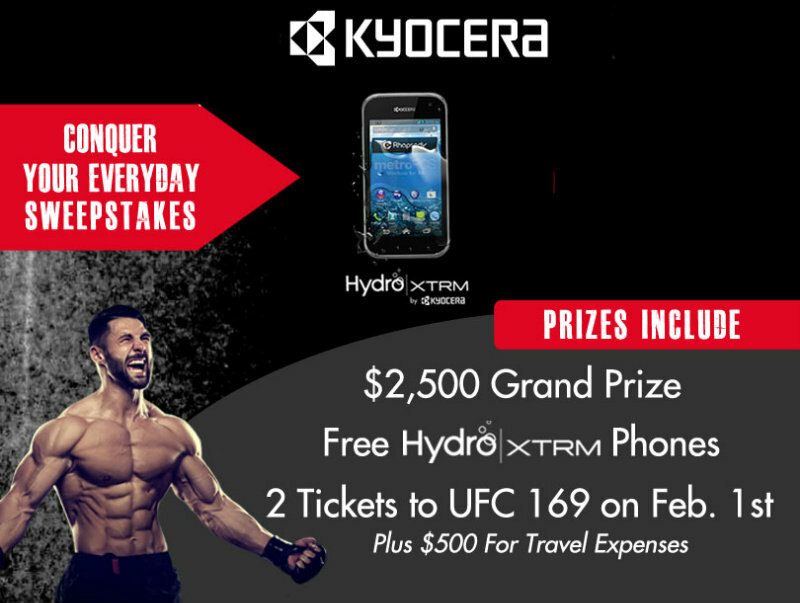 The sponsor of the Sweepstakes is Kyocera Communications, Inc., 9520 Towne Centre Drive, Suite 200, San Diego, CA 92121. The Sweepstakes is subject to these Rules, and by entering, all participants agree to be bound by these Rules. Certain restrictions may apply. a. Follow the online instructions to upload and submit a photograph that represents entrant conquering an everyday challenge and tag it with the hashtag #Kyoceraconquer. b. Photos may be submitted on Twitter by following @KyoceraMobile and hashtagging #Kyoceraconquer. c. Photos may be submitted on Instagram by following @KyoceraMobile and hashtagging #Kyoceraconquer. d. Photos may be submitted on Facebook by liking Kyocera Communications, Inc.’s Facebook page and entering first and last name, as well as an email address. The photo must be tagged #Kyoceraconquer.